The study below is in position #3 of my crumpled-paper grid. We’re starting to round the corner and start onto the second row. Even though this piece is directly adjacent to the artwork in Grid Position No. 2, it has a different palette and a different feel. 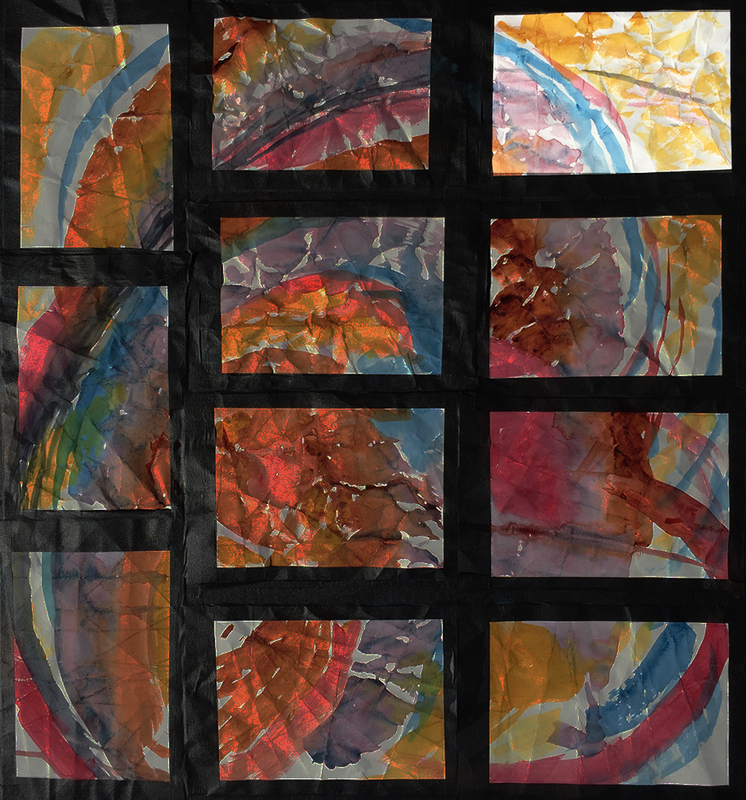 The charcoal lines mark the ridges of the rumpled paper, giving context to the surrounding colors. Below is the entire grid with No. 3 in situ. The charcoal lines are not pictured here. 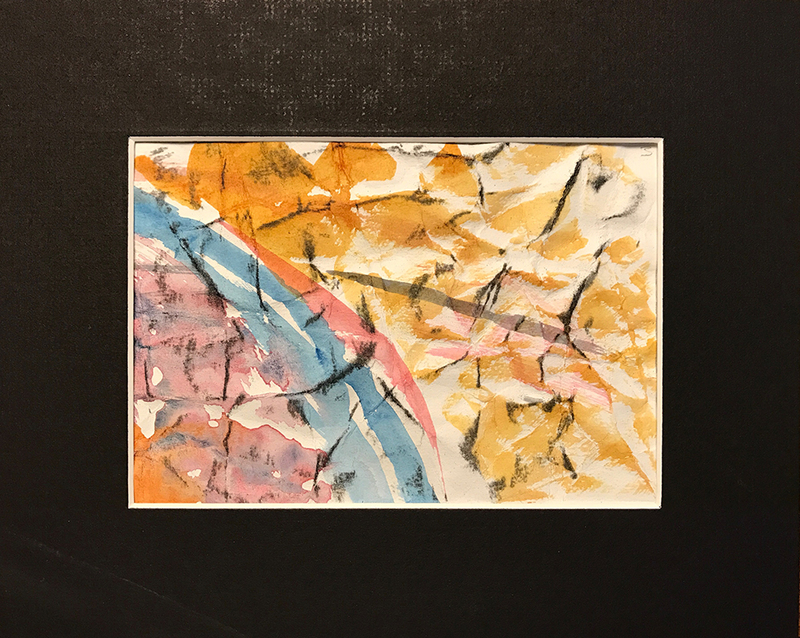 This entry was posted in Personal Stories and tagged abstract art, art, art detail, artistic process, creative process, grid, grid position, painting, visual arts, watercolor. Bookmark the permalink.